The Classical Girl Turns Three! Back in February 2013, I made a decision. If I was going to give this blogging thing a try, I needed to stick with it. I knew the facts: most blogs fail within six months, simply because it’s damned hard work to keep coming up with new, interesting, insightful things to say. It reminds me of that beer-in-a-shotglass game my friends and I played in college. (When you attended university in Kansas in the ’80’s, where drinking age for 3.2 beer was 18, beer played a big part in your world. I’m just sayin’.) One shot every sixty seconds. At first, it’s the easiest thing. You’re looking at your watch, saying, “c’mon, what’s taking so long? How about 30 second shots?” Then several minutes go by and it gets harder. And then it gets even harder, and gradually 600 second shots sounds like a much better idea. Yeah. Like that. And so, here’s the poor blogger of several months, wracking their brains for something to say, sifting through a mind gone blank, and there you have it, that’s why most blogs don’t last longer than six months. The bloggers have fled the scene, off to start taking sixty-second beer shots. But I made a personal goal, one year minimum, and I paid for three years of the domain of www.theclassicalgirl.com. Lo and behold, it got easier after the one year mark. And so, here I am, now, with three years under my belt. Whew! Here are some factoids. In these past three years, I’ve created 160 posts, and have received 465 comments, with another fifty sent to me via email. Thank you! I reached a total of 400,000 page views this past year (with spam, another 250K – thank you spammers). I hit my one-day high of 900 views this past year, and in the same month got 17,000 page views. May is traditionally a good month and so is October (likely due to my coverage of World Ballet Day). My post, “What do ballet dancers eat?” continues to dominate the ranks, with 85,000 views. People love to know what dancers eat. They also like to know about pointe shoes. My “10 odd facts about pointe shoes” post now equals the number of daily views to my home page and my “what do ballet dancers eat?” (Roughly 70-100 each.) That’s fun. No, not giant numbers. I am, and will remain, a pretty low-key blogger. Fine with me. I still find it nothing short of miraculous that this dreamy, I’d-rather-be-reading introvert is succeeding as a blogger at all. Particularly heartening to me are the number of views some of my classical music posts are now getting. Those are a labor of love. There are so many talented, intelligent musicologists out there blogging, and then little old me, whose qualifications are that I simply love classical music and musing about it. Some posts get maybe two dozen views (sniff, sniff!) but other sleepers gain slow momentum. High on the list of views now are “Hansel & Gretel, Abendsegen and 14 angels” and “Clair de Lune and Ocean’s Eleven” and Debussy’s “Beau Soir.” And Yuja Wang – wow, does my post about her “very short dresses and very big talent” get read a lot. This interest in my classical music writing makes me so very happy. It reaffirms the adage of “do what you love and the money will follow.” Well, okay, I’m not making money here. Making money is overrated. I’m making art (or at least artful attempts). That’s what matters to me. That continues to be my goal here at The Classical Girl. I mean, note the absence of those icky, blaring advertisements? Yeah. Too right. I’m a purist, not a capitalist. Where was I? Oh, summarizing. 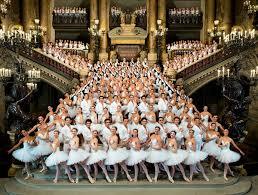 Ballet-inclined readers like to know about taking a ballet class in Paris. They like learning about Ulyana Lopatkina, prima ballerina with the Mariinsky, and Israeli choreographer Ohad Narharin’s dazzling “Minus 16.” They also enjoy reading why ballet dancers hate the movie, Black Swan. One thing has sprung up in the past two years that I hadn’t anticipated early on: I’ve become a dance reviewer. Ny newest goal is to try and review at least eight ballet productions per year. Exciting for me is the fact that, as The Classical Girl, I’m credentialed to attend productions as a member of the press (read: free pair of tickets and really primo seats in exchange for a review). Woo hoo! 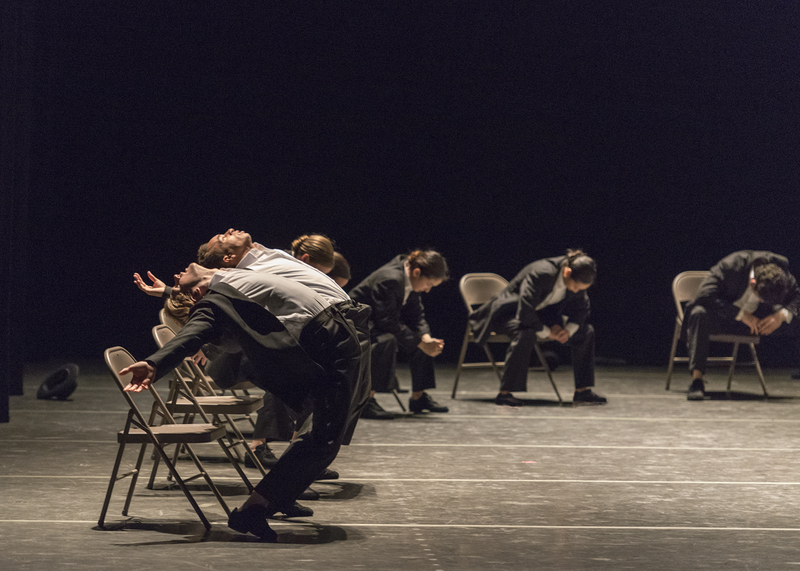 You can find a season-by-season summary and links to my dance reviews HERE. And you might notice I’m blogging more about dance performances. Hope that’s okay! Lastly, to help celebrate my third anniversary, I’m offering my ballet novel, Off Balance, Book 1 of the Ballet Theatre Chronicles for 99 cents this week. (News flash: Book 2 of the Ballet Theatre Chronicles, Outside the Limelight, will be out in October! Look for details and showing off of the gorgeously designed cover late this spring.) My “anniversary special,” a Kindle Countdown deal, starts HERE midday on Feb 29 and will continue through March 7. 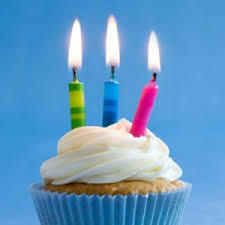 Thank you, dear reader, for helping me celebrate three years of The Classical Girl. I couldn’t have done it without you! 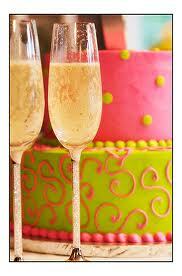 Now, cake and champagne for everyone. Here’s to the next three years! This entry was posted in Life and tagged author Terez Mertes Rose, ballet bloggers, Ballet novel Off Balance, bloggers who review dance productions, blogging about classical music, blogs about classical music, classical music blogger, dance bloggers, essays about classical music, how to stick with blogging, motherless daughter essay, The Classical Girl blogger on February 27, 2016 by admin. In January 2013, the news made headlines: the Paris Opera Ballet, that iconic institution, 355 years old, housed in one of the world’s most glamorous ballet venues (Palais Garnier – you can read my blog and see pics HERE), had chosen a director of dance to succeed Brigitte Lefèvre after her twenty-year tenure. 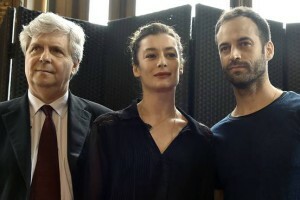 The winner: Benjamin Millepied. He of the Black Swan fame, having choreographed it, performed in it. Former New York City Ballet principal. Married actress Natalie Portman. 35 years old. That guy. The Paris Opera Ballet, as with your average European institution that has been around for over three hundred years, is very tradition-bound. Through centuries, they’ve held onto rules that work, and it stands to reason they’ll want to keep holding on to them. Which, regrettably, is not in synch with the philosophy of the 21st century. One of the toughest nuts to crack for Millepied was surely the Paris Opera Ballet’s rigid hierarchy, starting with the fact that almost all of its dancers are coming from the company’s training school. Almost all are French. In terms of promotions, they have a grading system that is strictly adhered to. 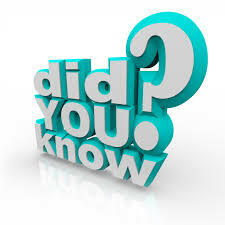 Basically, you have to audition before a jury to move up to the next level, or even maintain your ranking. 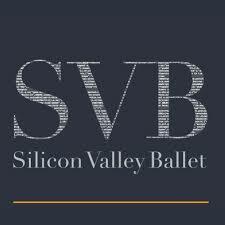 This might be one of the reasons San Francisco Ballet’s lovely transplant, principal Mathilde Froustey, chose to stay with the SFB over returning to the POB. As a “sugét” (soloist), she wasn’t succeeding at rising to the top, “étoile” level, no matter how beautiful and accomplished her dancing had become. Some dancers simply test better than others. There it is. The POB’s loss, San Francisco’s gain. Yikes. Not the best at classical? Okay, there’s the Mariinsky, the English National Ballet, The Bolshoi, The Royal Ballet. I’m sorry, Paris Opera Ballet has gotta go in that top five, at the least. Please. Mind you, it’s not like the guy was doing anything ghastly, and he certainly did some shaking up in a good way. He helped create a stronger social media presence for the company. His charismatic persona and glittery patina (I mean, look at who is wife is) drew not just interest but money to the institution. A breath of fresh air? You betcha. But maybe it was open windows during a cold Parisian winter in a drafty palace that proved not so beneficial to the shivering dancers who are used to doing things the POB way. And were longtime POB patrons looking for a change? Hmm. Dunno. Anyway. If you’re looking for Big Ballet News this week, there you have it. Everyone in the dance world is talking about it today. Here are some media links if you’d like to read more. Succeeding him will be former étoile (principal rank) Aurélie Dupont, someone well versed in the world of the Paris Opera Ballet, which seems to make a hell of a lot more sense to my feeble mind. 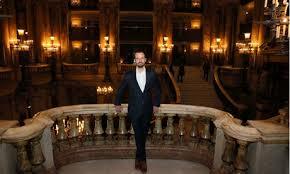 Dupont, 43, who retired from the stage last year, will become the new director when Millepied leaves on July 15. I’ve a good feeling about this appointment. For starters, she’s been a part of the Paris Opera Ballet and its school for 32 years. She’s likely been watching what has worked with Millepied’s new approach and what has clashed. She knows the institution inside and out. Wishing her the best in this surprising (at least to me) new venture. This entry was posted in Ballet and tagged Aurelie Dupont new director Paris Opera Ballet, Benjamin Millepied, Benjamin Millepied returning to Los Angeles, director of Paris Opera Ballet, History of Paris Opera Ballet, Mathilde Froustey, Millepied resigning as director of Paris Opera Ballet, Natalie Portman, Natalie Portman's husband, Palais Garnier, Paris Opera Ballet hierarchy, The Classical Girl Palais Garnier blog on February 5, 2016 by admin.